It is a course for those going to graduate schools, universities, vocational schools, etc. in Japan to acquire the necessary power to go on to higher education. Because our school’s admission course is a preparatory curriculum acknowledged by the Ministry of Education, Culture, Sports, Science and Technology of Japan, students who do not qualify for Japanese university entrance qualification because of less than 12 years of schooling in their home countries will be able to complete this course, You will be entitled to a vocational school. Bachelor ‘s degree (university graduation) is necessary to enroll in graduate school. 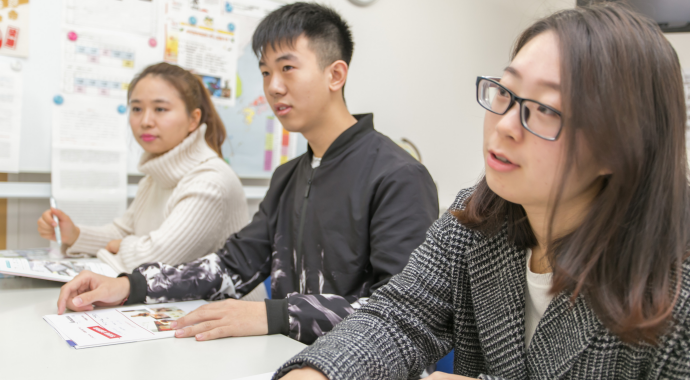 In addition to Japanese, you can receive basic subjects (English, mathematics, society, science), there is also individual tutoring (advancing consultation, interview practice etc). In this course, a long-term visa is issued from the general course and all the EJU examination course can be received free of charge. Those who wish to go on to graduate school, university, college, vocational school, junior college, junior college, those who are seriously attentive to class and attended the class and are highly motivated. You can take classes in basic subjects (mathematics, science, society, English).